Nintendo has slowly but surely embraced games as a service over the last few years- they’ve done it well. 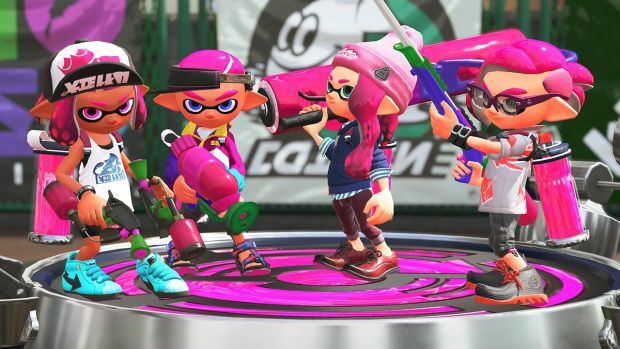 Splatoon, for example, is an entirely game as a service driven franchise, and yet it never exploits its playerbase, delivering new updates and content for free constantly (the lone exception to this is a meaty single player expansion that was sold separately). Even with Nintendo’s single player games, we have seen them embrace games as a service style trappings- Xenoblade 2 and Super Mario Odyssey have consistently received free updates, with the former also getting an Expansion Pass. Their mobile games, naturally, have had similar mechanics too. Nintendo has clearly seen the benefits of this approach, because Nintendo veteran Hideki Konno (the guy who bought us Mario Kart and Luigi’s Mansion, among other things) says that Nintendo will need more ongoing engagement hooks in their games going forward. Speaking to Famitsu (translation via Siliconera) in a feature about Dragalia Lost, the upcoming mobile game Nintendo and Cygames are putting out together, Konno said that in his opinion, going forward, even console games will need to provide features that constantly engage players on an ongoing basis. This could, of course, go well or go wrong- at its worst, it could mean every Nintendo game becomes, for example, like EA’s lineup. On the other hand, as I have pointed out, Nintendo has been doing this for years now, and they’ve so far managed to do it well. We can only hope they don’t lose their soul in the pursuit of profits.